Theoretically, it is December. I should be huddled in layers, slipping and sliding on ice and snow, and drinking innumerable cups of tea. Only the last is true, but that is always true. Right now it is 60 degrees outside and I only need a sweater. If this keeps up things are going to start blooming. I am not complaining, it is just strange. I am reading like it is winter though. It gets dark so early that I don't really want to go anywhere. I just want to curl up with a book and an afghan. 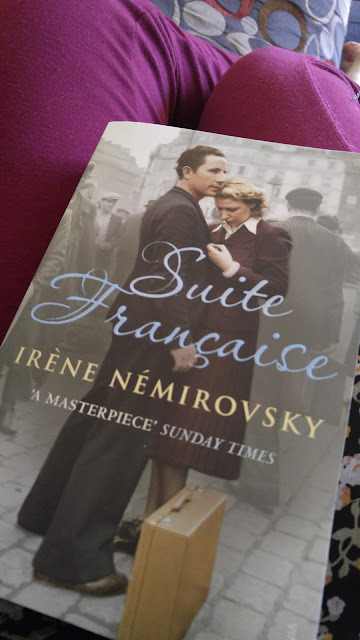 I am just finishing up Suite Francaise by Irene Nemirovsky. I did not realize when I bought it that it was unfinished. It was supposed to be a series of five novels, but only two were finished before she was arrested and sent to Auschwitz where she died. Her daughters kept the notebook her writing was in but never read it until the late 1990s. They had always thought it was a journal and that it would be too painful to read. They were going to donate her writings and decided to read them first. That is when they discovered what they really had. Suite Francaise begins with the Nazi occupation of Paris in 1940 and draws a picture of a country in chaos. It does not really tell the story of individuals, instead it uses the stories of people to tell the story of a country. I really enjoy her way with words and how she can use them to make a subtle point. Here is one quote I liked that highlights the attitude of the townspeople toward the refugees. "But they were all right, time would pass, soldiers would fight while the ironmonger on the main street and Mlle Dubois, the hatmaker, would continue to sell saucepans and ribbons; they would eat hot soup in their kitchens and every evening close the little wooden gates that separated their gardens from the rest of the world." That little line about closing "the wooden gates that separated their gardens from the rest of the world" says it all. Nemirovsky emphasized the effects of the occupation itself. I found that so interesting. The French and Germans were enemies, they fought each other, but then the Germans came in and took over a town and the two peoples got used to each other. There was a constant pull between the individual and the nation. "War...yes, everyone knows what war is like. But occupation is more terrible in a way, because people get used to each other. We tell ourselves, "They're just like us, after all," but they're not at all the same. We're two different species, irreconcilable, enemies forever." "There had been no men in the village for so long that even the soldiers, the invaders, seemed in their rightful place. The invaders felt it too; they stretched out in the sunshine. The mothers of prisoners or soldiers killed in the war looked at them and begged God to curse them, but the young women just looked at them." It is obvious this is an unfinished work, some things don't flow and there are inconsistencies. However, it is an unusual and beautifully written work. It is such a tragedy that it was never able to be completed. I know a movie was based on this. I am debating whether or not I want to see it. I have a conflicted relationship with movies based on books. Has anyone seen it and if so, do you recommend it? 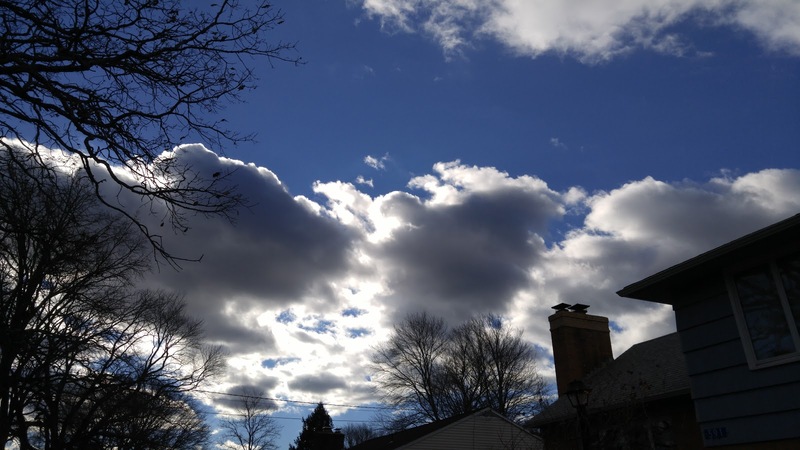 It is so strange isn't it about the weather? But like you I'm not complaining after the winter we had last year. That book looks interesting. Have you read 'Those Wonderful Rumours' by May Smith? It's a wartime diary of an Emglish schoolteacher and has little snippets of information about daily life during the war. It's not the best written but quite enjoyable I think. Thank you for the recommendation. I am fascinated by wartime diaries and tend to collect them. I haven't read Those Wonderful Rumours, I will have to look for it.